When I make a post elsewhere that I feel is relevant and informative, occasionally I will be linking outside of the site. If you head on over to DAW-Music.com, you can read my latest post about business and projects entitled, Take the Eggs in your Basket and Run with them. This post is no longer on DAW-Music.com. I decided to find it and re-post it below. Enjoy. 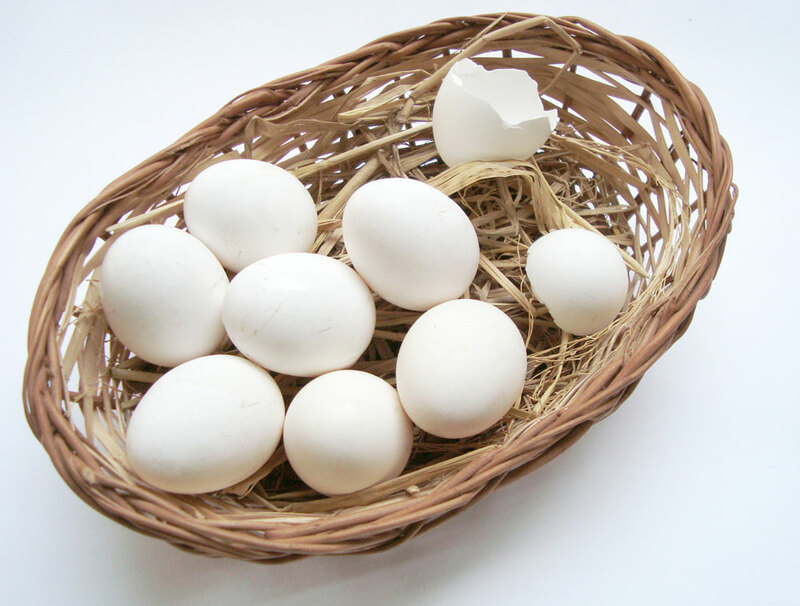 You’ve probably heard the expression, “don’t put all your eggs in one basket” before. In business this usually means you should diversify, because if you put all your efforts into one thing, you will be devastated when that thing tanks. You don’t have a backup plan. I find this philosophy to be pessimistic, because it makes the assumption that the thing you’re putting your effort into is going to fail. What you expect to happen generally happens. That isn’t to say that you should be naive, or think in unrealistic terms, but it’s not productive to premeditate failure either. On the flip side, I’m not suggesting that one should not put their entire focus on one thing. Focus is definitely important, and determining your individual focus is immensely powerful. However, I think it is more realistic to assume that you have multiple areas of focus. I feel like I’ve finally arrived at a happy medium with this motto: take the eggs in your basket and run with them. I will be perfectly honest with you: I’ve had a hard time deciding on a focus for myself, despite knowing the importance of that action. Every time I thought I had left something behind never to look back, I would often come back to it. And every time I thought I had my priorities in order, I would have new brainwaves and new ideas that would distract me. I finally came to the realization that I could move forward with everything I was doing, even if I only took baby steps. You may have heard it said that it takes roughly 10 years (or 10,000 hours) to master a particular instrument, craft, skill, trade, or profession. Mastery is not an overnight process, nor is it gratified instantly. It takes time, effort, and perseverance. Robert Kiyosaki says that one should put at least five years of effort forward in any business venture they undertake. A lot of people think that you would be rich if you struck oil. Kiyosaki thinks in terms of a business owner, so he raises funds to hire more people to do the work. He sometimes doesn’t see any personal return on the business until five to 10 years down the line. Sometimes he doesn’t see any return, and the business venture doesn’t work out. In my life, I’ve decided to give my major projects at least five years. I’m going to spend less time trying to assess my progress day-to-day or month-to-month, and see where I am in five years. Most people overestimate what they can do in a day, and underestimate what they can do in a month. At that five year mark, I will take a look at what I’m doing and decide whether or not to continue, revise, or purge completely. This philosophy is exceptionally freeing to me. Commitment is the beginning of freedom.